Amazon Kindle Fire is a tablet device that runs on an Android OS, which can be used to connect to a VPN network with the help of the Feat VPN Android app. 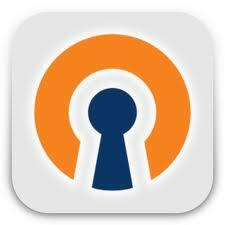 This app offers an access to the OpenVPN service for Android OS versions 2.1 to 3.2. An advantage of this app is that you are not required to root your device and void its warranty to access VPN services, since it works on off-the-shelf, unmodified devices very well. The below guide helps you configure this app and connect to the desired OpenVPN service, for which, you should download and install the latest version of the software on your device. To configure the app for your use, follow the steps as mentioned below. Before beginning with the configuration, you need to download the configuration files from your VPN provider. You can download a single file for the TCP & UDP connection or you can get separate files for both. If you have downloaded the zipped folder, you need to extract the files and copy them in a folder on the memory card inserted in your device. Now, start with the installation of the app from the Google play or the Android market, where you will get a legit app. Run the app and accept all the terms to start it. The app needs to test the VPN support available with your device, before being configured, for which, you should tap on the ‘setup’ option under the ‘menu’ and then start the tests. Tap on the ‘exit’ option, once all the tests are completed. Now, tap on the ‘Tunnels’ button to start the configuration, after which, you need to select the ‘add’ option and then the ‘Load’ option for the addition of a VPN server to your device. Here, you need to add the configuration files for the VPN server that you need to connect to. Browse through the directory and move to the folder, where you have copied the files after extracting and then select the file for the server, which you want to connect to. The app will import all the settings for the connection, which will be displayed accordingly. Now, tap on the ‘back’ option to go to the list of available connections and establish the VPN connection with the desired server. On the next screen, you will get a list of all the available connections to your device, out of which, you need to select the connection that you have just created. Tap on the name of the connection, which will ask you to enter your login credentials. Fill in the VPN username and password in the desired fields and tap on ‘OK’ to start the process of connecting to the server. You will be connected to the server, which will be confirmed by the “connected” status of the connection. Thus, with the help of this guide, you are now able to create an OpenVPN connection through your Amazon Kindle Fire device using the FeatVPN Android app.